To help our aspiring entrepreneurs and future SETsquared Bristol members, we are showcasing a number of case studies demonstrating the breadth of tech and depth of success in SETsquared Bristol and what it takes to achieve. One such notable success is XMOS now a world leading business in voice and audio interfaces for consumer electronics. XMOS develops embedded voice and audio interfaces for the consumer electronics market. Their unique silicon and software solutions use voice processing, biometrics, and artificial intelligence to deliver rich user experiences when humans are interacting with smart home technology. Today, XMOS delivers the highest quality voice capture solutions to a wide range of speech recognition services. 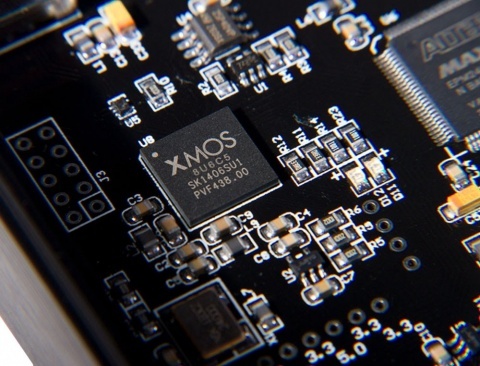 XMOS was founded in July 2005 by University of Bristol student, Ali Dixon, James Foster (former CEO of Oxford Semiconductor), Noel Hurley (formerly of ARM), David May (former chief architect of Inmos), and Hitesh Mehta (Acacia Capital Partners). The key objective for the company was to provide a flexible programmable embedded platform that entrepreneurs could use to productise their IP, removing the need to manufacture bespoke silicon chips for a variety of applications. This unique silicon architecture is now used by XMOS, along with their own software and algorithms for voice user interface applications. XMOS received seed funding from the University of Bristol enterprise fund, and Wyvern seed fund (formerly the Sulis Seedcorn fund) to commercialise the technology, originally developed as part of Ali Dixon’s final year project. XMOS joined SETsquared Bristol in 2005, on its inception. It was serendipitous, based on proximity – both organisations shared a building on Park Row. XMOS was in the incubator from 2005-2007. During that time, Nick Sturge acted as a mentor to the business providing critical support during the company’s formative years. On completion of the A-round of venture funding, XMOS left the incubator as a fully independent commercial entity. In 2017 XMOS brought a range of voice interface solutions to market to target the rapidly expanding voice-enabled consumer electronics market led by Amazon Echo/Dot/Show and Google Home products. In October, XMOS’ VocalFusion became the world’s first far-field linear voice solution qualified for the Amazon Alexa Voice Service, and XMOS finished 2017 with the world’s strongest portfolio of far-field voice user interface solutions available to consumer electronics developers. The company completed a major funding round in September, and moved to new offices in Queen Square, in the heart of Bristol, just before Christmas. In 2018, end users will see that “Alexa” and other Voice User Interfaces will start to move from being stand alone iconic devices, to being invisibly integrated into electronics around the edge of the room – in their smart TV, washing machine, and set-top box. XMOS’ core technologies – VocalFusion and VocalSorcery – will enable this “edge of room” integration, and their products will be deployed in significant commercial volumes. XMOS will also work with its strategic partner and investor, Infineon, on the development of SensorFusion technologies that will help to deliver their vision of human machine interface (HMI) technology for fully smart environments.